Questions about Kichler Lighting 1861OZ? The Olympia Collection brings a modern twist on the classic aesthetic to create a new form the likes of which has not been seen before. The curvilinear, flowing arms of these chandeliers, pendants, and wall sconces create a clean, contemporary profile for your home. The Antique Pewter finish combined with Satin-etched cased opal glass diffusers and shades present a neutral color palate capable of matching any modern decor. 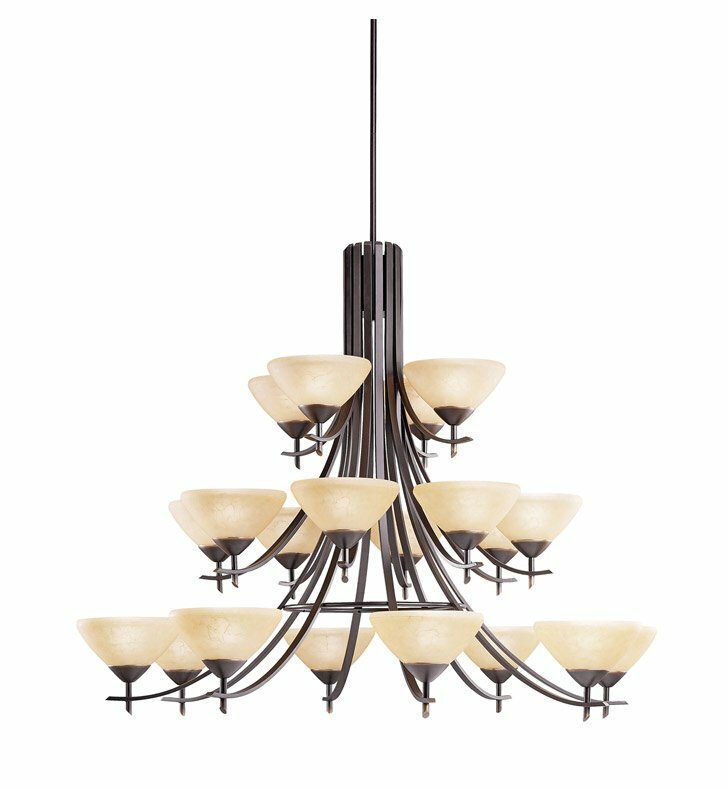 This handsome grand scale 3-tiered chandelier is the largest in the Olympia Collection. Its 20-light design employs 60-watt (max.) bulbs for superb lighting power making it the perfect showpiece for any large, open room. It measures 59" in diameter with a 48" body height and must be supported independently of the outlet box. Dimensions: H 45 1/2" x W 59"